Amazon is the largest eCommerce website in the USA and is called the Ultimate Selling Machine for a good reason. It now accounts for more then 50% of all online purchases in the USA with 100+ Million Prime Members. A good friend of mine said it best in that "if you had the opportunity to put a product into Walmart 10 years ago would you?" Of course you would because you would be a multi millionaire. This is the same type of opportunity you have with Amazon right now to become an established store with reviews before becoming over saturated. 1+ million small and medium sized business currently selling on USA. You should be focusing on how to find a product to sell on Amazon ASAP. I am by NO means saying that selling on Amazon is easy, it is truly a global marketplace where you are competing direct with manufacturers and marketers to beat you on price. But for those who treat it like a business, and have the investment money to cover Giveaways & PPC, you may have the ability to grow a very profitable Amazon Store. What Can You Sell On Amazon? 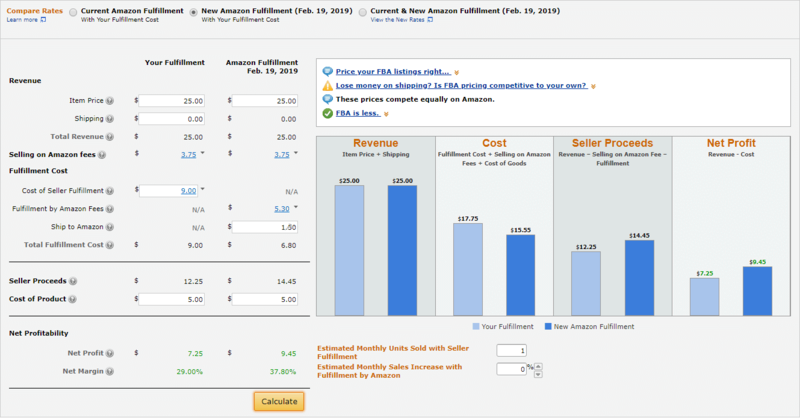 How Does Amazon FBA Work? Deciding what and how to sell on Amazon is not an easy task. There is no guarantee that you are going to be wildly successful (or make any money at all) but is not too difficult to setup a store and start selling yourself. Essentially their are 3 different types of business models for all sellers on Amazon. A. Product Creators - This is for the store owners that produce their own unique products and sell them under their own brand. This can be complicated with your own patents or trademarks, or simple as unique crafted products such as clothing, knitted sweaters, eBooks, or the future best selling board game. Your own product will have less competition and do not have to compete as much on price for the same product. However, this is usually a more expensive model for those who do not make the product themselves. Most manufacturers have larger minimums. B. Private Label Sellers - This is the most popular amazon business model and where most sellers start off with. This involves buying your product direct from a manufacturer who puts your logo on the packaging. It is very common for supplement companies, children toys, soaps, and kitchen utensils. Private label startup costs are typically much less and often recurring smaller minimums than manufacturers. This still allows you to grow your brand, and not have to worry about nearly as much regulation. C - Re-sellers (Arbitrage, Used, Refurbished) - Amazon has a huge demand for used products. Why would you not want to save if you can order from a very reputable seller? Many entrepreneurs do well with Retail Arbitrage or finding products from garage sales or liquidations. Retail Arbitrage is buying products on sale from a retailer and selling them for full price on Amazon. However, these are harder to build up your Best Sellers Rank as you have limited products and are always searching for the next item versus focusing on sales. What about Dropshipping? You hear stories of a lot of entrepreneurs drop shipping within Amazon but I can tell you that I do not recommend this because it is against Amazons terms of service. The policy states that “Purchasing products from another online retailer and having that retailer ship directly to customers” is not permitted. Amazon has created one of the most advanced fulfillment processes for businesses to reach more customers. FBA means "fulfilled by Amazon" and they say it best on their website "you sell it, then Amazon ships it." This means that once you ship your products to their warehouse they take care of everything else. Their fees are quite reasonable and include shipping, handling, and commissions for making the sale. 1. Discounted Shipping Rates - Not only does Amazon have incredibly fast shipping, but they also get far cheaper rates than a normal business gets. Many retailers who sell on their own websites, use amazon to fulfill with their FBA services for this reason. As a prime member I always use the free shipping option (sometimes even same day) and one reason I keep coming back. 2. Improved Customer Experience - With Amazons commitment to providing excellent customer service, fast shipping, and detailed reviews it provides the ultimate customer experience. If the product is not right, you can return it with no hassles. This saves so much time not having to handle any support or time spent shipping. 3. Increased conversion rates - As a a seller I have never experienced or even heard of an eCommerce store that converts 14%-30% on cold traffic, this is unheard of. Even though you should be using sponsored ads, Amazon brings it customers many organic sales. The fees you pay are far outweighed any traditional advertising or growing a store, and customers are confident when they buy increasing conversion rates. Doing proper product research is the most important thing you can do before investing in your Amazon business. There are many different tools that can actually show you market demand and competitiveness of a product, even before launching. We have another post on the top 10 FBA tools that will show you the demand. I personally like AMZ Scout and they have a 2 week free trial to see if it works well for your business. Plus you can spy on your competitors keywords and figure out exactly what the average costs and giveaways are to reach the first page. Please keep in mind that Amazon does change their fees every year or so when you are calculating your costs. There are different levels of storage fees (long term versus short term) and many different up sells along the way. These costs also differentiate between countries. The other monthly costs with your amazon is a professional seller account versus invidiudal account. A professional seller account is required if you want to run Amazon Sponsored Ads but you don't have to pay $.99 per item sold. The monthly fees for the sellers account is $39.99 a month. Still a lot cheaper then actually paying rent somewhere. ​To understand these fees, you should look at Seller Central to stay on top of all newest fees. They have a Revenue Calculator that should answer most of your questions. Just use someone else product (similar size and shape to yours) and check on local shipping options (like UPS) to compare pricing. I always have found it cheaper to use FBA services then to ship on my own, not to mention Amazon handles everything this way. One of the biggest concerns of what is holding most people back from finding a product to sell on Amazon is dealing with a manufacturer. Unless you are able to do this yourself, you will ways have to deal with a co-packer or manufacturer direct. The first step I would recommend is using a website like Alibaba and using their RFP service and messaging direct. This will allow you go get a better understanding of price, minimum orders, and competition if other people are selling the same product. Once you find a product that you are interested to sell, you have determined the demand, and the revenue calculator starts you can work on negotiation with product suppliers and manufacturers. I typically start looking on Alibaba first before contacting north american suppliers. 1. Negotiating upfront payment - For smaller orders most will require 100% upfront payment. For larger orders, the vendors typically require 30-50% upfront, and remaining when shipped. It takes a long time negotiate longer shipping terms and full relationships. 2. Type of payment - I always do Paypal if available, but many companies in China demand wire transfers which is completely normal way to pay so funds go direct and in their country. Paypal or paying by visa does add an extra level of security in case of disputes. 3. Minimum quantities and future pricing - I typically start with a larger RFP, and once interested negotiate into lower. Many companies state 3000+ units for custom orders, which can cost you $150,000+ before receiving the product. Ask for future pricing especially if investing into plates or custom molds. 4. 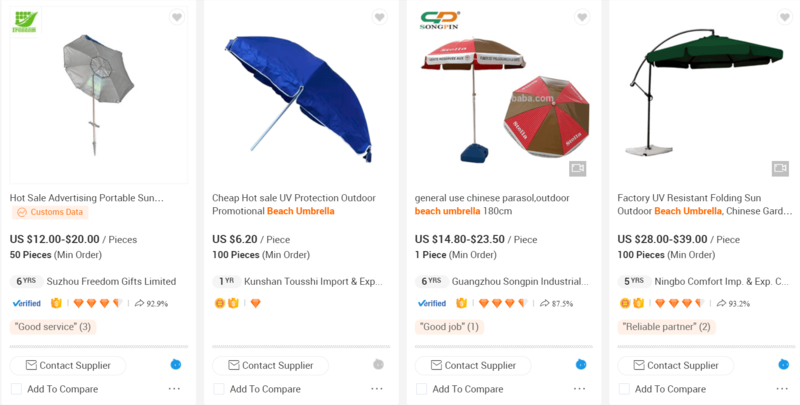 Trade insurance and inspection - Alibaba has trade insurance for most suppliers and orders through Alibaba, definitely take advantage of this. Most sellers don't offer it right away, so ask. If you are planning on sending direct to Amazon, especially on the first order or 2, you need to hire a quality inspector. This means an inspector will visit the factory, inspect your product and ensure it meets quality standards before being shipped. I know many sellers who have gotten their Amazon accounts shut down for too many complaints due to a manufacturer defect. Much like you are trying to build your own business, many manufacturers companies are trying to grow theirs as well and looking for long term relationships. I have never had a mistake in my orderings, but I do not know friends who had purchased products that showed up incorrectly labeled or wrong sku costing them tens of thousands of dollars jeopardizing amazon reviews. There are dozens of different shipping and freight forwarders available. But for those who are importing direct into the USA you will need to choose a good one. The last thing you want is for your goods to gut stuck in customs, or delayed because their were drugs on the ship so your item arrives 3 months late grrr. I have personally used Flexport as a freight forwarder, and am shocked with how well they worked during the custom process. This is one of those things with importing, that essentially you can not do yourself. When doing my first shipment, the custom agent even called and asked me who my freight forwarder was and when I had no response said you better get one fast. 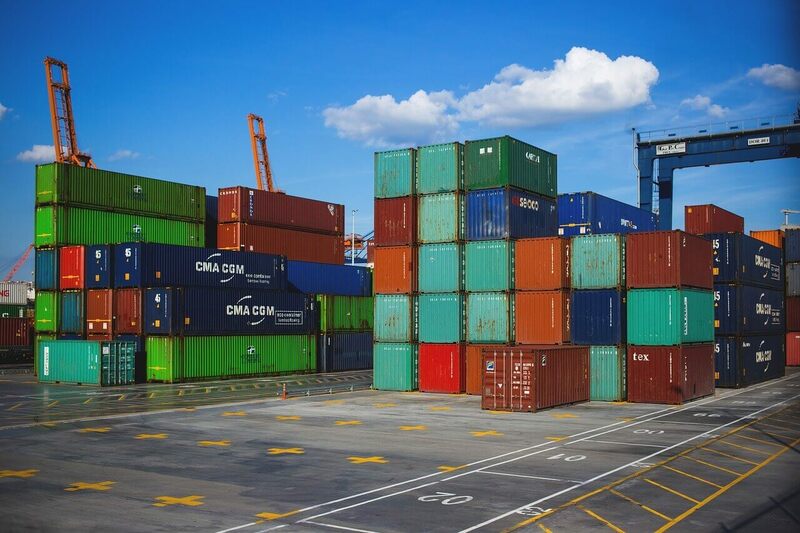 For more info on freight forwarding you will want to read our other post on the Best Amazon Freight Forwarders that goes over Matson, OOCL, UPS, Fedex, DHL and how to choose a reliable logistics company. ​​​​​​​Once you have figured out all the logistics of what, where, and how you are going to sell and order your product the fun begins. Setting up your actual Amazon Store! Branding and appearance is everything. You will want to create original photos, create your own compelling description, and use high demand keywords. Anything extra you can do to make sure that will make your product design and out from the others in the marketplace is required to get the click and hopefully the sale. For a more detailed post please see our other How to Optimize Your Amazon Listing and increase your conversions. Much like how Google determines which websites it wants to rank first in its search results, Amazon has a similar system called the Best Sellers Rank. Where Google looks for the best content to provide for user engagement, Amazon looks for how it can make the most money while giving a product its users will love. 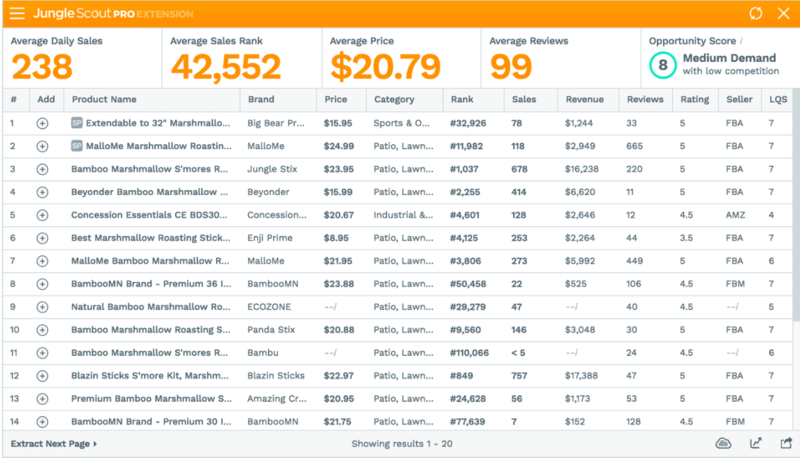 Best Sellers Rank is calculated by recent sales and historical data, and according to amazon reviews and ratings do not contribute. However, reviews and ratings do increase consumer decisions (for higher conversions) impacting sales, therefore impacting outcome of your BSR for that particular category. Their are a lot of tools that we go over on our Top FBA Tools that will show you how to determine your sales impact and BSR. You can also see this per category just by clicking on your listing. For example Cards Against Humanity ranks #1 is Grown Up Games and #2 in Toys and Games category as shown below. Or you can use a tool Like JungleScout or AMZ Pro and it will show you many of these figures and compare you to your competitors. This is essential to see what it will take to get your sales high enough to reach the first page, and hopefully stay there. Sponsored products are Amazon pay-per-click advertising system that allows you target particular keywords and appear in the search results for your targeted keywords. For all new sellers (especially) I would not advice starting a store unless you launched with paid adds. In order to get sales and eventually increase your Amazon Sellers Rank, you will need people buying and validating your products. I highly suggest for all campaigns starting off for Auto (for approximately 2 weeks) before moving to manual. With automatic campaigns Amazon AI collects and learns highly targeted keyword for the product that you sell. With manual targeting you get more control on the queries and budgets and are able to reduce your cost-per-click over time but is best to focus on the highest converting and cheapest keywords. So let Amazon do your research for the first 2 weeks and add your conversion keywords to your manual campaigns. Amazon PPC is something I plan to dive deep into in another post. Through PPC reporting, you can see the high bids, exact, average, and and able to include negative keywords from what you need to rank. Amazon shows you this in Seller Central, but I prefer to use the stats from Jungle Scout. The hardest thing associated with Amazon now is getting reviews. In fact, only about 1 in 200 people that buy your product will actually spend the time to leave a review. 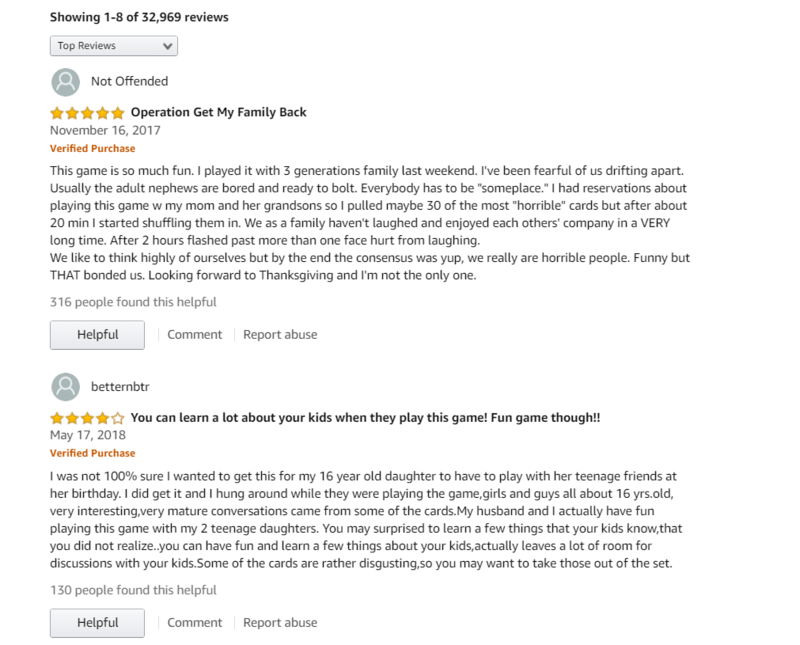 Amazon knows this and does their best to fight "fake" or "friend" reviews and is notorious for deleting and purging reviews and banning accounts. This is great for smaller businesses who do not have to worry about competing against the large "review farms" and services from buying thousands of reviews. However, as great as this is for existing businesses it is harder for new amazon sellers to build up reviews. Luckily their are 4 main ways to get reviews. 1. Enroll in the Early Reviewers program. Amazon offers this service for newer sellers with less then 5 reviews and costs $60 per sku. You get a minimum of reviews costing on average $15 which is really reasonable. They incentivize purchasers with $3 gift cards in order to leave the review and help out other buyers that may be interested. These appear with a "early reviewers rewards" beside the review on their profile. 2. Use a giveaway software - Services like Jumpsend offer unbelievable deals to their users at a large discount in exchange for their reviews. You should have received your package by now. Instructions on how to use your product. Customers who get more interactions are more likely to spend the time to give you a positive review or leave feedback. 4. Leave a review card in the package - On your packaging or inserts, its great to ask your customers to leave a review without breaking any amazon rules. This can be done on your directions or instructions with a short insert about yourself. Do Not: Offer incentives or coupons to get amazon reviews. Just for the record, even asking your mom or family member to leave a review can get flagged for last name and city, or especially if it is the same house. You do not need a trademark to sell on Amazon, but a trademark is required to utilize sponsored brands and protect your brand. This is one of the biggest reasons why you should trademark (if not already) as sponsored brands are part of the pay-per-click campaigns that show even above the sponsored products. These include your logo, space, and allow you to even upload an image to your product listing descriptions. Without it, there is risk that competitive products may offer very similar (or the same) products with your listing. The only way that you can reach out to Amazon or send legal notice is with the trademark and brand protection. A patent may be expensive, but you will be able to defend your invention against others who seek to sell in your space. With all the different Chinese knock of items, you can send a desist letters and Amazon will take notice. Even having the words patented or trademarked may scare off a future competitor looking at it not launching in the first place. Amazon is one of the largest marketplace in the USA and with a growing number of prime users that will keep growing at an exponential rate. The benefits they offer of same day or super fast shipping, expanding markets and products, customer service, and opportunity to launch a scaleable product. FBA is truly one of the greatest business models for entrepreneurs ever created. However, it is also one of the most competitive markets in the world and you should not build your entire business within Amazon. You also need to focus on building blogs and bringing external traffic, building your own website, and most important email list. Amazon is out to make money, and despite what many of the Facebook & Youtube ads you see may require a lot more capital then you might first estimate. I know that I covered a lot today... so any question please make sure to comment below and I will answer every single question. I promise to create more additional posts and expand into new content especially around the Amazon PPC ads and Product Research. Thanks for reading this far and have an AWESOME day!